A women's Bible study on 7 women in the Bible. A study for Pastor's wives. 30 days to a more beautiful you. 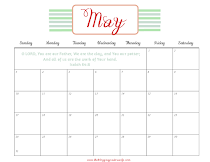 I also am working on the April calendar, more printables, and church invites. Check back often to see other things that may interest you. If you have any needs or would like to see something specific please email me at thebloggingpastorswife@gmail.com I would love to create custom printable designs for my readers. Looking forward to a new Bible Study from you! I send prayers of encouragement, wisdom and lots of energy to continue your MANY projects. Sunny Faith Rush. Thanks so much for your prayers and encouragement. I had taken a break, but will be diving back into this soon. Thanks for stopping by!